Published May 25, 2016 at 751 × 800 in PORTFOLIO. Hay Crown Cicada. 2016. 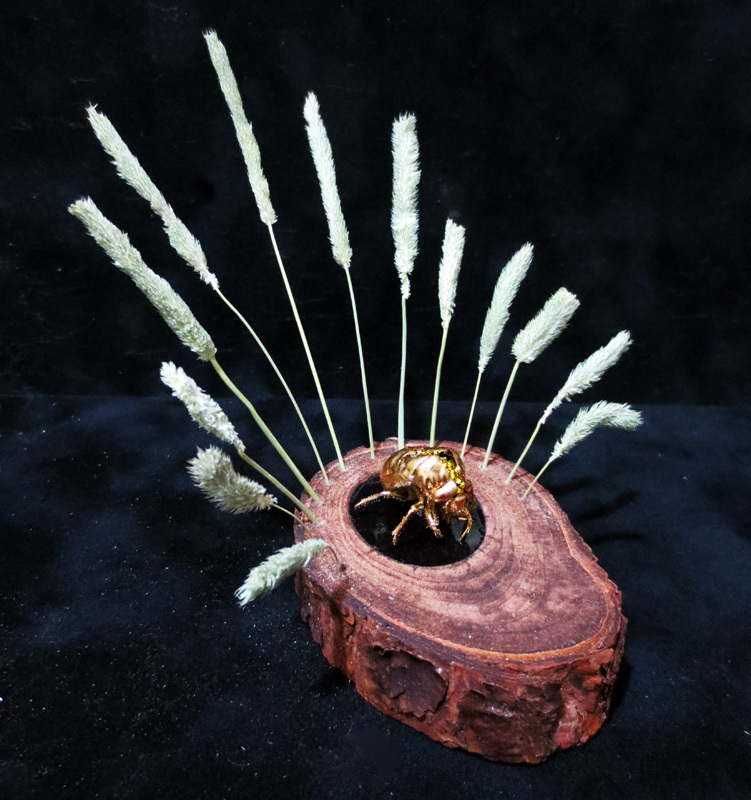 Cicada Exuvia, gold paint, glitter, enamel, wood, hay. 4 x 4.5 x 4.5 in.